The case of alleged fraud involving Senator Godswill Akpabio is not over, the Economic and Financial Crimes Commission has said. Akpabio had said that he was a man of peace that had no case to answer with the EFCC, adding that the young man who petitioned him before the commission could not prove his case. “Those petitions to the EFCC have been sorted out. As I stand today, I have not been charged to court because nothing was found against me,” Akpabio said. However, the spokesman for the EFCC, Mr Wilson Uwujaren, in a text message while responding to an inquiry made by The PUNCH, insisted that Akpabio’s case was still ongoing. Akpabio first came under investigation in late 2015 following accusations that he diverted over N100bn from the oil-rich state between 2007 and 2015, an allegation which he has denied. The EFCC wrote letters to Zenith Bank, Keystone Bank, First City Monument Bank, Skye Bank, and United Bank for Africa demanding information on the state’s accounts. The anti-graft agency also extended its investigation to the accountant-general, the auditor-general, the Speaker and the clerk of the House of Assembly. 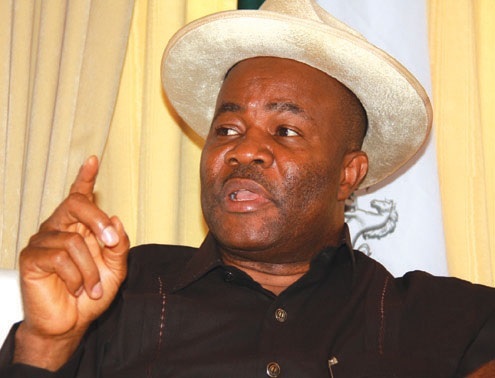 Describing it as a witch-hunt, the Akwa Ibom State Government refused to cooperate with the EFCC and even dragged the commission to court and obtained an interim injunction, restraining the EFCC and other Federal Government agencies from probing the finances of the Akwa Ibom State Government but this was temporary as the judge lifted the injunction months later paving way for full investigations. The matter was taken to the Appeal Court where it has remained for over a year. According to an interim report by the EFCC, the former governor allegedly gave a bank N1.4bn for unknown reasons.